In some states, the sale of all or most of a business’s assets requires the majority vote of the business’s shareholders, but the transaction is not subject to the appraisal rights of shareholders who did not vote in favor of the sale. When buying a business’s assets, a buyer can elect to purchase only selected assets. In doing so, he or she avoids exposure to liabilities and minimizes risk. When a buyer purchases a business’s assets he or she can allocate the purchase price among the assets to reflect the fair market value of each asset. This legal right offers two opportunities: 1) a step-up of the tax basis, 2) higher depreciation and amortization deductions, both of which lead to future tax savings. The avoidance of double taxation in the event the target business is an S-corporation, LLC or partnership. Asset sales can be complex in that they typically require the consent of third parties regarding, for example, office space leasing, contract assignments and permit transfers. Since third parties may use the transaction to renegotiate contracts, delays and cost increases are often experienced. When buying a business or a percentage of a business, it’s often not necessary to delineate exactly what you are buying. This isn’t usually the case when purchasing a portion of assets. Instead, the buyer will likely need to define the specific assets he or she wishes to acquire. If the buyer is acquiring a subsidiary or a division, he or she typically acquires the assets that are used exclusively or primarily by that business unit. However, “shared assets” can cause legal confusion, and it’s usually necessary to negotiate their cost and transfer and/or licensure. If the target business is a C-corporation, it is subject to double taxation in the event of an asset sale. 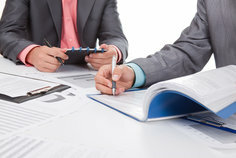 If there are any disclosed or undisclosed liabilities that the buyer is not including in the purchase, there is a risk that the transaction will violate fraudulent conveyance laws on the part of the target business, which may ultimately impact the purchaser who might be compelled to reverse the transaction. Perhaps it’s because of these serious disadvantages that less than a fifth of all acquisitions are structured as asset purchases. Nonetheless, it makes sense to consider all options when deciding how best to structure any acquisition.